Lars Lindstrom is lonely. 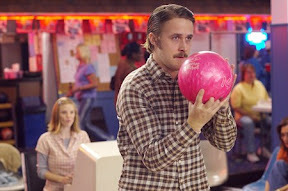 Having lost his mother during his birth, and inherited his emotionally devastated father’s love of quiet solitude, the now twenty-seven year old Lars (Oscar nominee Ryan Gosling) prefers to spend the time he isn’t at work or church alone in the makeshift garage habitat he shares opposite the main house where his brother Gus (Paul Schneider) and pregnant sister-in-law Karen (Emily Mortimer) reside. 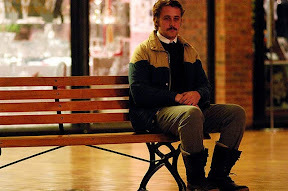 As Canadian director Craig Gillespie’s film begins, Karen tries to make good on the recurring five dollar bet she shares with Gus -- repeatedly trying and failing to lure Lars over a mere twenty-five or roughly thirty feet away for a meal. While most of the inhabitants of his snow-bound small Midwestern town wish the sweet and kind young man would begin dating and encourage him with good-natured hints and gentle prodding, Lars soon stuns the community into silence by finding an unconventional girlfriend online. Unexpectedly knocking on the door of the main house one evening, Lars requests not just a dinner invitation but a place for his date to stay, quickly prefacing the introduction with the explanation that his date isn’t from around there, doesn’t speak much English and is very religious. Eager to please, Karen gets out the new towels and whips up a delicious meal only to discover when Lars brings his scantily clad, wheelchair-bound Brazilian and Danish missionary girlfriend Bianca over that she’s not a real girl at all but rather a life-sized plastic doll. The furthest thing from a practical joke or even a payback prank by the single Lars to teach the town busybodies a lesson -- considering that the naively innocent and romantically earnest man is truly convinced that Bianca is a real human being -- Karen and Gus brace themselves for the worst. 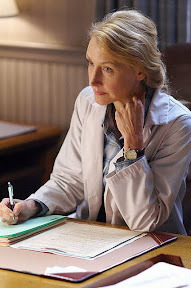 Worried he’s suffering from a mental illness, the older couple brings the younger couple to their family doctor Dagmar (Patricia Clarkson) who also doubles as a psychologist out of geographical necessity. Recognizing Lars as a functional man with a self-created delusion, Dagmar predicts that Lars will eventually set things right on his own if they all go along with it, causing the entire town to take part in welcoming Bianca into their hearts out of dedication to Lars and his family. While admittedly given the risky plot device and the bizarre premise, in less capable hands, the first act revelation of Lars’s “girl” would’ve been milked for lewd sight gags and perverse chuckles. However, in the sharply written yet refreshingly old-fashioned character-based screenplay from Six Feet Under scripter turned Oscar nominated Lars screenwriter Nancy Oliver, the offscreen purpose for the dolls is quickly forgotten onscreen as Bianca symbolizes the film’s overall theme of love and acceptance in bringing out the best of everyone. 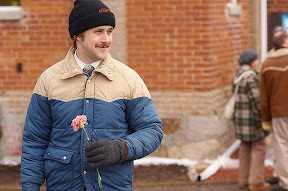 Rooted in humanistic sensitivity that makes Lars and the Real Girl and particularly chameleon character actor Gosling feel like a distant relative to Harvey and Jimmy Stewart, Gillespie’s film is as unexpectedly moving as it is ultimately lighthearted, elevated by the charismatic cast’s decision to play it with a straight face rather than for laughs. 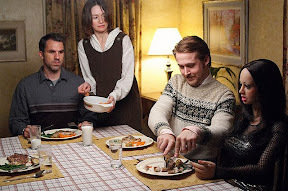 In fact, as a way to keep the talented Gosling in character, Gillespie and the entire crew treated Bianca like a real person, opting to give the doll her own trailer where she was dressed privately and appeared on set only during the scenes she was scheduled to shoot, as evidenced in a behind-the-scenes featurette included in the Mother’s Day timed MGM/Fox Blu-ray release. Given the indie work’s modest production values and intent not to overwhelm the storyline that I witnessed on the big screen as part of the 2007 Scottsdale International Film Festival (SIFF) before Lars’s subsequent DVD and now Blu-ray release, I can assure you that there isn’t much of a difference between the look and sound of the film from one format to the next. Yet what Lars and the Real Girl lacks in jaw-dropping technical wizardry, Gillespie’s contemporary charmer makes up for in heart as a bona fide word-of-mouth sleeper success on par with Schneider and Clarkson’s All the Real Girls , Clarkson’s The Station Agent and Mortimer’s Dear Frankie that’s well-worth adding to your library for an evening in with the one you love… whomever that may be.